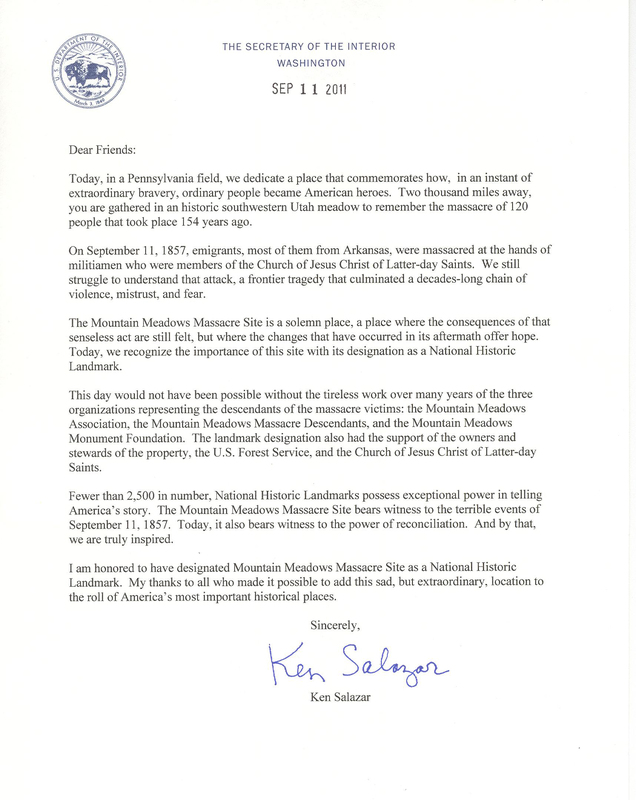 "The drive to make the Site a national historic landmark began earnestly in 2007, when LDS leaders gathered at Mountain Meadows with the three descendant groups, (including the Mountain Meadows Association), Paiutes and others for a 150th anniversary memorial service to honor the victims of the massacre." "The site already was on the National Register of Historic Places, but descendant groups pushed the LDS Church to join the effort to make the site a national landmark, a designation with more stringent requirements that would guarantee public access to the land and bring more visibility to the massacre." 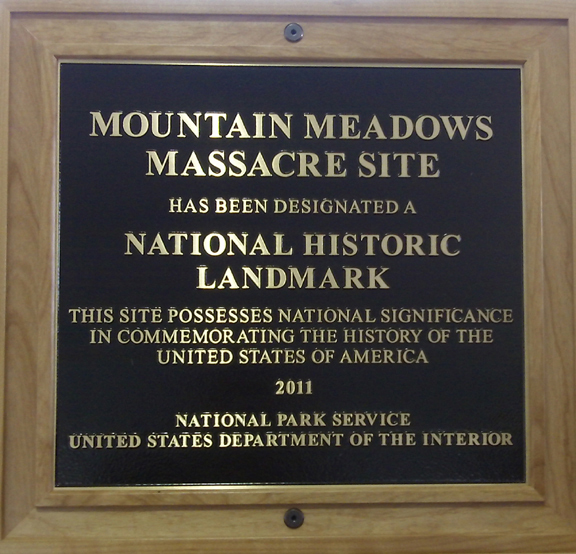 The LDS Church then began working on National Historic Landmark status for the Mountain Meadows Massacre Site. Paula S. Reed and Associates, Inc., was hired by the LDS Church to prepare the necessary documentation for the Landmark application. The Landmark Committee reviewed the application and took public comment on the issue, and then recommended to the National Park Service Advisory Board approval of the nomination. The Advisory Board met on April 13, 2011 to review the application and submitted their recommendation to the Secretary of the Interior, Ken Salazar. On June 30, 2011, it was announced by Salazar that the site had been designated a National Historic Landmark. The Church of Jesus Christ of Latter-day Saints will continue to manage the part of the site it owns, while the U.S. Forest Service will oversee its portion of the property. 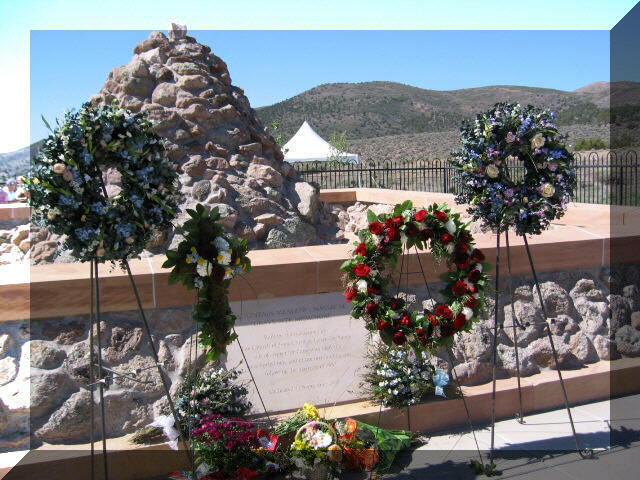 A ceremony to present the National Historic Landmark plaque was held on September 11, 2011 at the Mountain Meadows Massacre site.